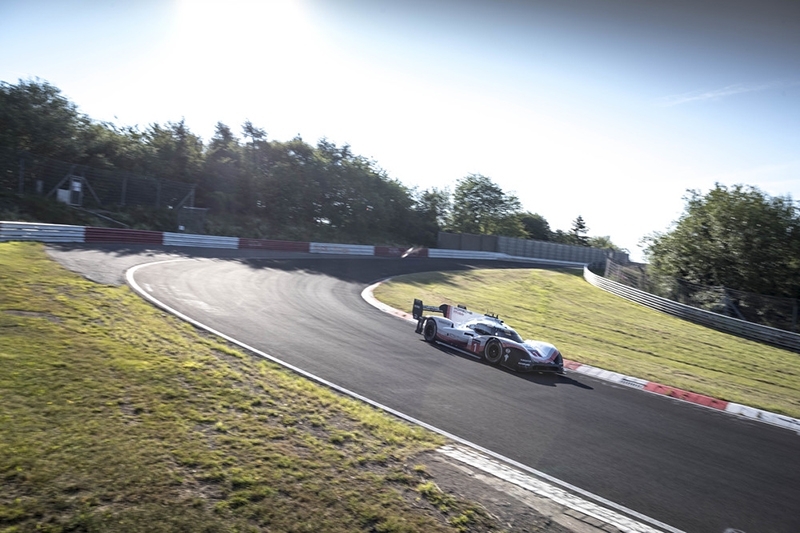 Five-time overall winner of the Nürburgring 24-hours, two-time outright winner of the Le Mans 24-hours and reigning World Endurance Champion, Timo Bernhard, set a new Nürburgring lap record last week, going around the 20.8 km circuit in just 5 minutes and 19.55 seconds. The blistering lap time beats the previous lap record of 6 minutes and 11.13 seconds – set by German racing driver Stefan Bellof in a Porsche 956 C in May 1983 – by a whopping 51.58 seconds. 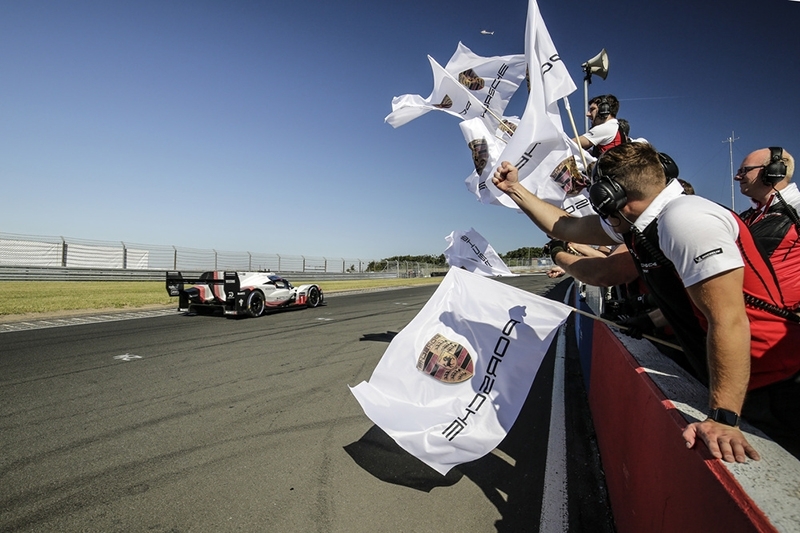 “This is a great moment for me and for the entire team – the 919 programme’s icing on the cake. The Evo was perfectly prepared and I have done my best on this lap. Thanks to the aerodynamic downforce, at sections I never imagined you can stay on full throttle. I’m pretty familiar with the Nordschleife. 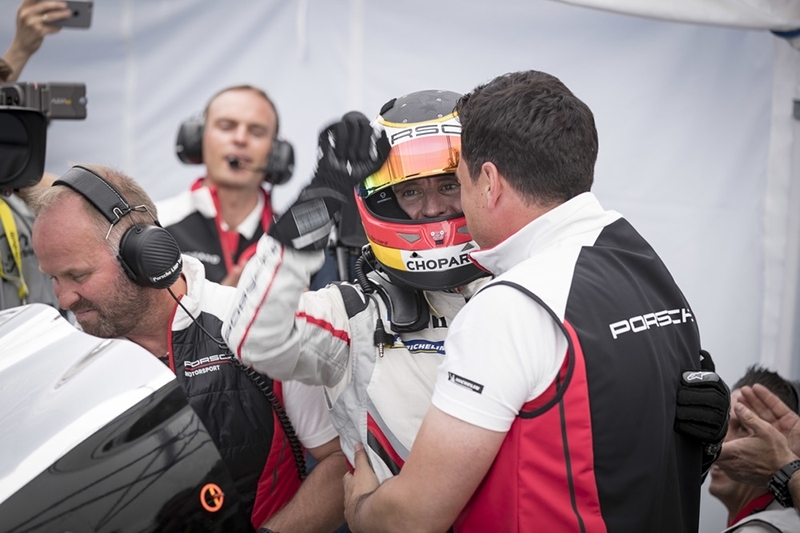 But today I got to learn it in a new way”, remarked Bernhard after the record-setting lap. 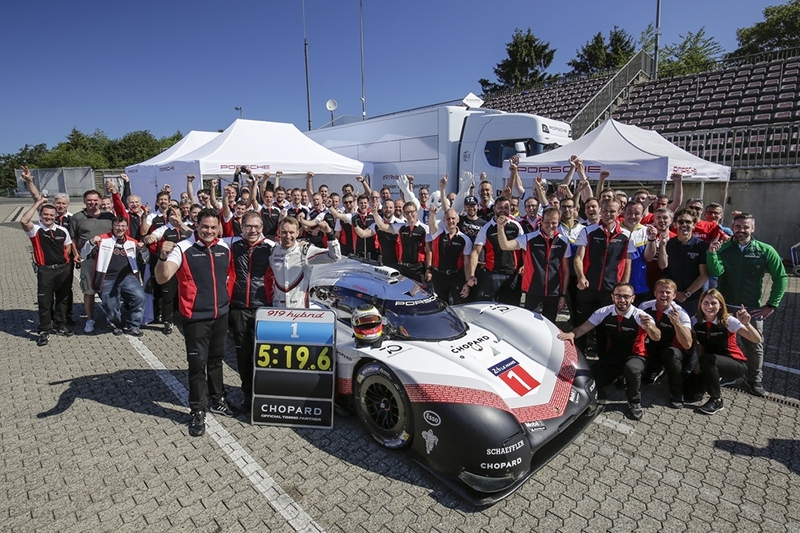 It was the second track record for the prototype racer, having lapped Spa-Francorchamps earlier this year faster than a Formula One car. 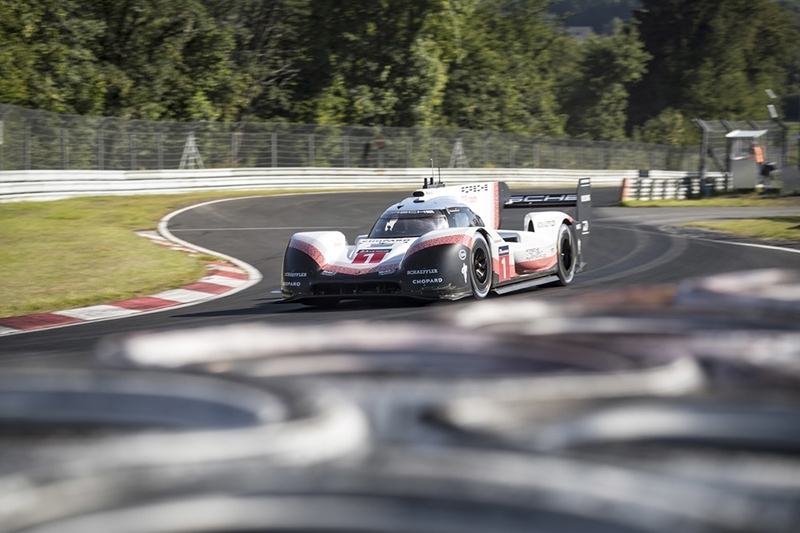 Porsche works driver, Neel Jani, piloted the 919 Hybrid Evo around the 7 km track in just 1 minute and 41.77 seconds, beating Lewis Hamilton’s 2017 track record by 0.783 seconds. 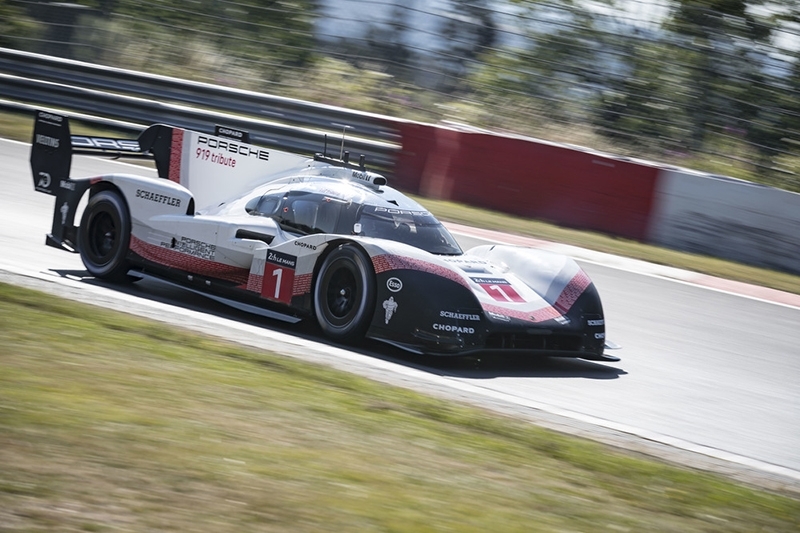 Powered by a compact two-litre turbo charged V4-cylinder engine and two energy recovery systems – brake energy from the front axle combined with exhaust energy – and freed from some restrictions determined by race regulations, its hybrid powertrain now develops 1,160 bhp. The combustion engine drives the rear axle, while the electro motor boosts the front axle to accelerate the car with four-wheel drive. Aerodynamic modifications such as the larger front diffuser and larger rear wing now have actively controlled drag reduction systems (DRS), while fixed-height side skirts increase the aerodynamic performance again as efficiently as possible. Underneath, the the turning vanes and floor have also been optimised – with all these efforts resulting in 53 per cent higher downforce, and an increase in efficiency by 66 per cent. Kerb weight was also reduced by 39 kg to 849 kg by removing items required in race trim – air-conditioning, the windscreen wiper, several sensors, electronic devices from race control, lighting systems and the pneumatic jack system.